ACOE's Learning & Accountability Services division convenes several networks across the county as a forum for learning, reflection, analysis, and action to support district and school success. Our networks serve as professional communities of practice for specialized instructional and educational service. Network participation is open to staff from our 18 member school districts. The Assessment & Data Network supports the effective use of data for district directors and managers charged with local and state assessments. 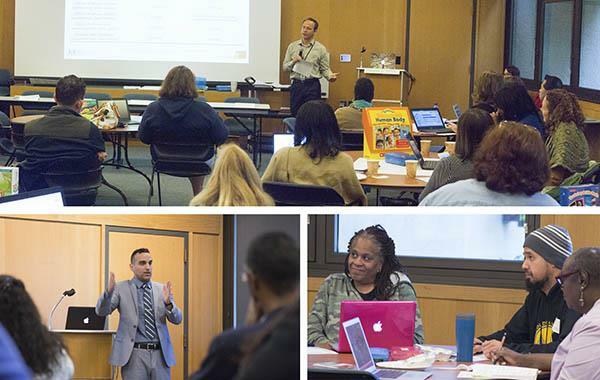 The Core Coaching Network (CCN) supports instructional implementation plans and strategies aligned with the California State Standards. CCN serves both district and site-level instructional coaches. The Early Learning Network (ELN) supports early learning leaders to improve the quality of early childhood educational services delivered to preschool, transitional kindergarten, and kindergarten through second-grade students.